What you see in front of you is only a fraction of the world. What if you have a ticket to Hawaii? Would you first tour around the vibrant neighbourhood of Waikiki or go straight to the lovely, white-sand Waikiki Beach? 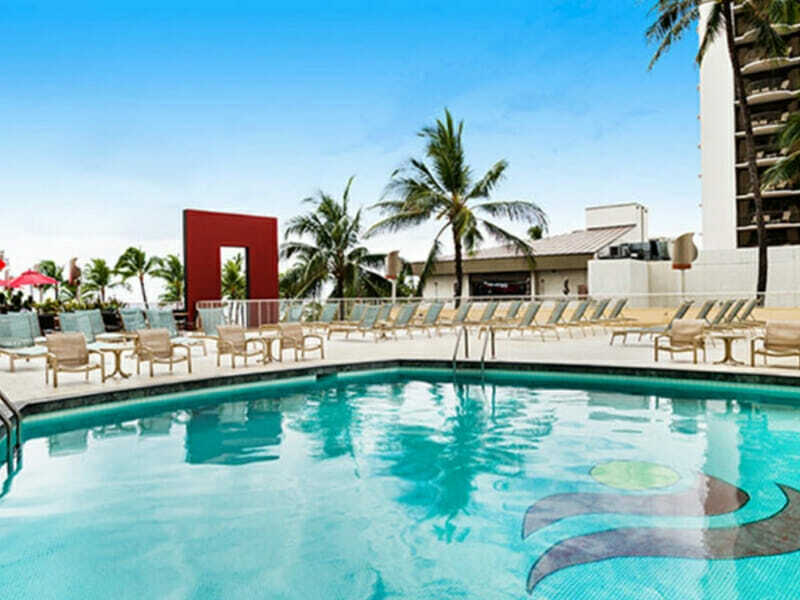 No matter your plans, you can always book your stay at Aston Waikiki Beach Hotel. 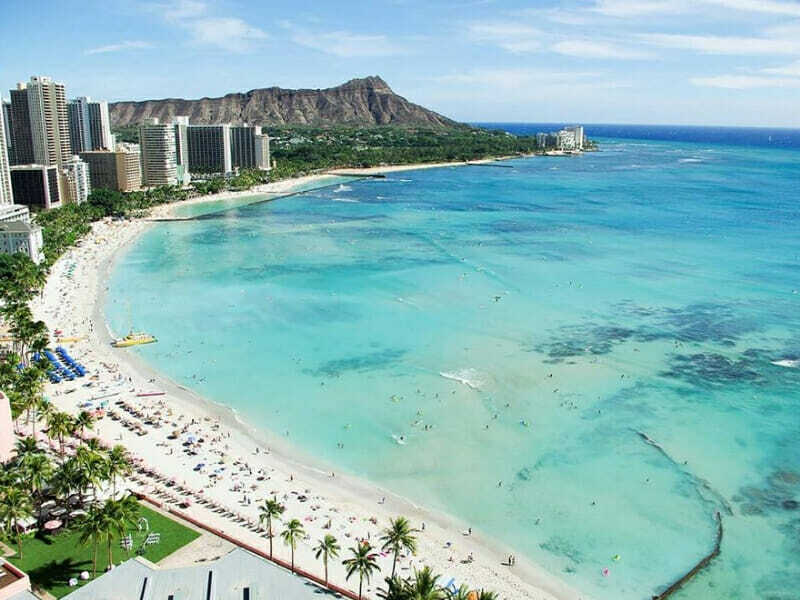 Waikiki Beach is a long stretch of white-sand beach lined with palm trees. 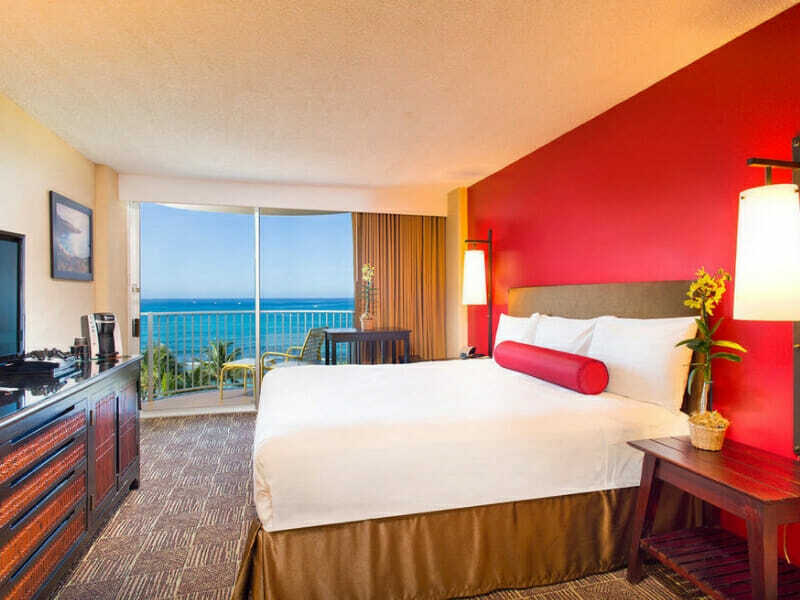 Aston Waikiki Beach Hotel is just a few steps away from the breathtaking azure waters of the sandy beach. This deluxe hotel ensures every guest comfortable, well-appointed accommodation. 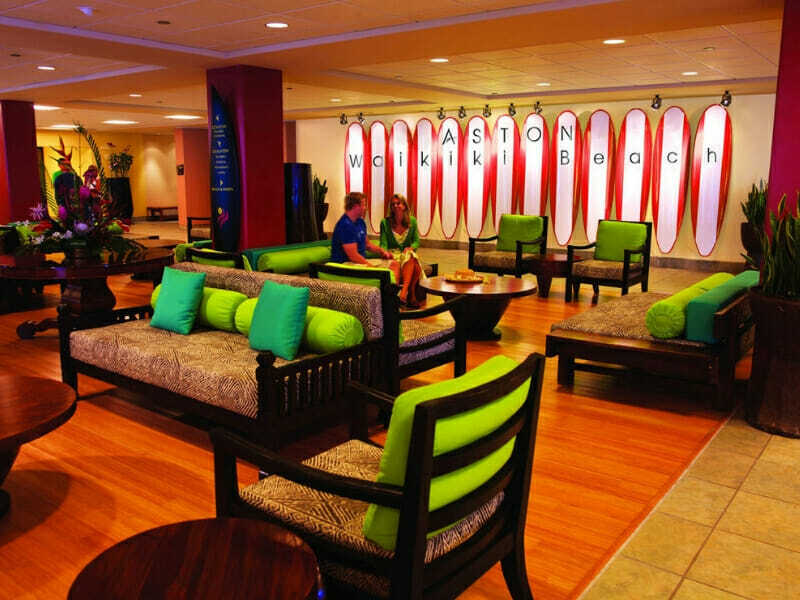 Aston Waikiki Beach Hotel is where guests can relax in utmost comfort and style. 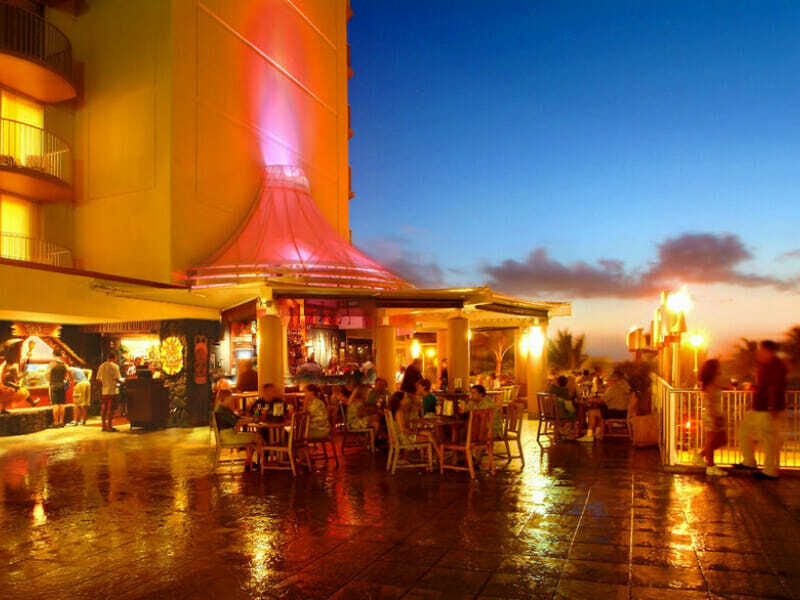 Families or honeymooners can enjoy flavourful snacks and drinks as well as full-course meals at Tiki’s Grill & Bar and 4 other dining options. On-site fitness centre and outdoor pool are also available for everyone’s pleasure. This 29sq. metre room is stylishly-designed with contemporary furnishings and either 2 Double beds or 1 King bed. This elegant accommodation also offers partial views of the Pacific Ocean from the step-out lanai. Enjoy the room’s sleek bathroom that comes with a large tub. This 25sq. metre room comes with either Double or King bedding configuration that comfortably sleeps 2-4 guests. Tastefully-designed with chic interiors as well as entertainment amenities like flat-screen TV, the accommodation exudes a home-like vibe. Also, get magnificent views of the ocean from the private lanai. This 25sq. metre room, located above the 19th floor of the hotel, features a full balcony that opens up to sweeping views of the Waikiki Beach. The beautifully-appointed accommodation comes with the bedding of your choice, either 2 Double beds or 1 King bed. Entertainment facilities and an outdoor sitting area are also provided for your enjoyment. This 30sq. metre room gives you and your loved ones the full Hawaiian experience. With uninterrupted views of the Pacific Ocean, this stylish accommodation features a private balcony. Sit back and relax on your Double or King bedding then enjoy a movie night on your flat-panel TV. This 30sq. metre room, located above the 9th floor, features a step-out lanai and marvellous waterscape. Great for up to 4 guests, the accommodation is designed with 2 Double beds or 1 King bed. Families or couples will love the modern comforts that this room offers, including the luxurious spa bath and large vanity counter. This 40sq. metre suite with a spacious balcony is one of the hotel’s largest rooms, perfect for a family of 4. Well-positioned above the 10th floor, the accommodation opens up to panoramic views of the Waikiki Beach’s sparkling waters. Contemporary amenities include a comfy King bed (or 2 Double beds), a cosy lounge area with flat-screen TV and sleeper sofa as well as a luxury bathroom with tub. 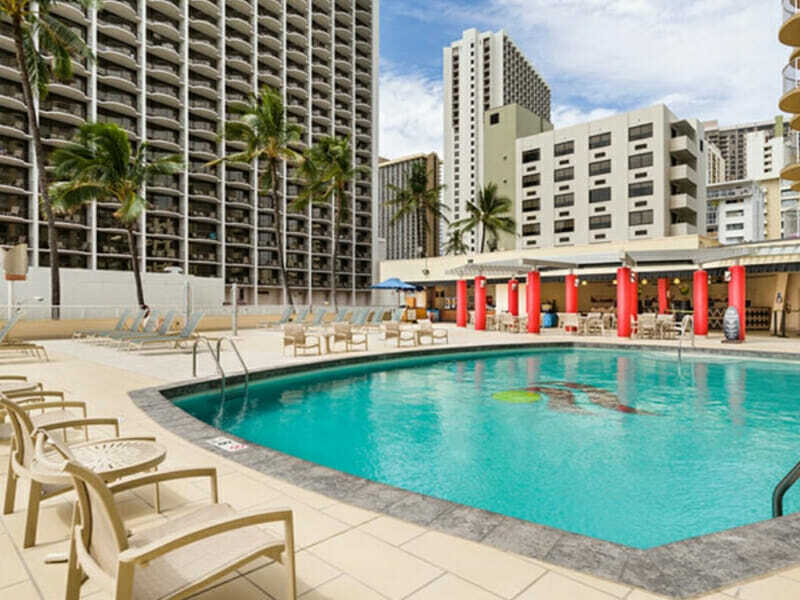 Aston Waikiki Beach Hotel is located along Kalakaua Avenue, only 35-minutes away from Honolulu International Airport. This boutique hotel is also a short stroll or drive away from many local interests, shops and restaurants. In Waikiki, you can go hiking and try zip lining through tree tops or simply bask in the glorious sunset view by the shore. 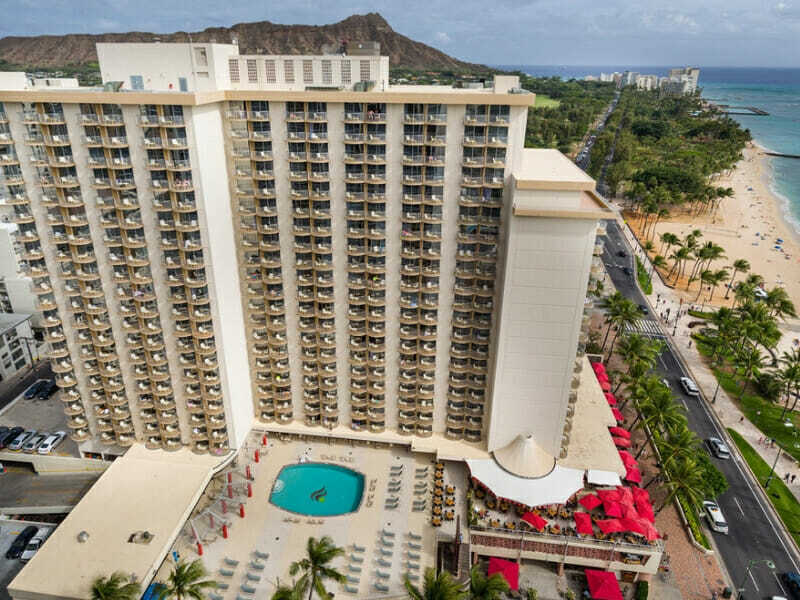 Hike the Diamond Head Summit Trail or check out the Kuhio Beach Park across the hotel. Don’t forget to bring your camera!